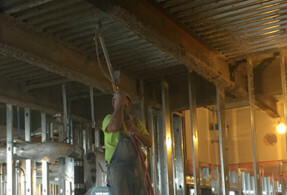 Any and all construction projects require some form of fireproofing in Springfield, IL to ensure they are safe and secure. The most efficient fire-resistant materials, such as stone and cement, can be combined with various coatings and techniques to fully protect a home or business. Stopping the fire from spreading is the most important factor in saving the structural integrity of a whole building. At Mid-Illinois Companies, we provide unparalleled customer satisfaction for all the work we complete. In fact, we have been in business since 1970, and our technicians focus on quality craftsmanship and satisfaction above all else. Fireproofing consists of rendering a structure or the materials used to build said structure either completely or partially fire-resistant. Applying fireproofing systems to individual structures effectively boost their fire-resistance ratings. As a result, your building is much safer. Fireproofing is popular in commercial, residential, and industrial construction settings. Anywhere a fire could break out, a team of trained professionals, like those at Mid-Illinois Companies, can put fire resistant methods into place. 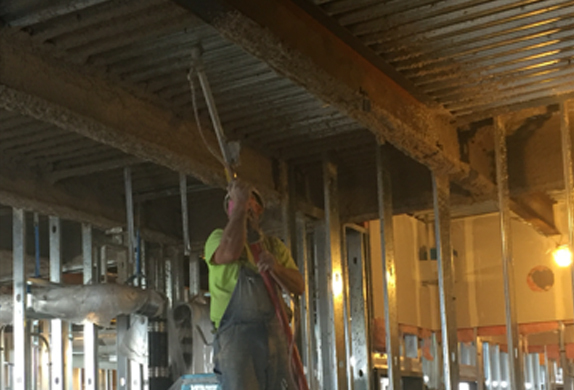 When it comes to fireproofing in Springfield, IL, Firestop Specialty Contractors are available to help you. Stopping fires from spreading is a crucial part of the construction industry. Owners, architects, and engineers come together to certify companies and homes when it comes to proper fireproofing techniques and methods. Therefore, you know you are getting the absolute best for your property. 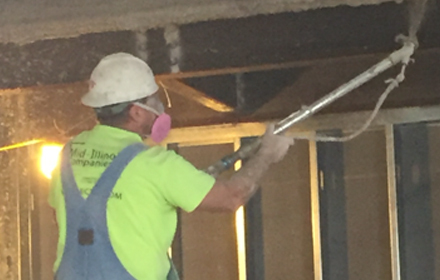 Whatever you need, trust the professionals of Mid-Illinois Companies to handle all fireproofing in your building projects. 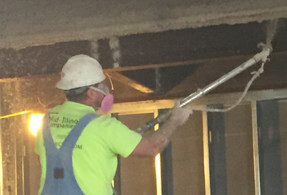 For fireproofing in Springfield, IL, trust only certified technicians with a proven track record for getting the job done. Therefore, for your fireproofing needs, give Mid-Illinois Companies a call today at (217) 685-5486. We would be happy to answer any questions or concerns you may currently have.